Placement Timeline - What to expect? Applications for 2019/2020 Chevening Scholarships are now closed. Chevening is the UK Government’s global scholarship programme that offers future leaders the unique opportunity to study in the UK. These scholarships are awarded to outstanding professionals from all over the world to pursue a one-year master’s degree in any subject at any UK university. Chevening provides fully-funded scholarships, leaving you free to focus on achieving your academic goals and enjoying the experience of a lifetime. You will live and study in the UK for a year, during which time you will develop professionally and academically, grow your network, experience UK culture, and build lasting positive relationships with the UK. If you have ambition, leadership potential, and a strong academic background, we encourage you to subscribe to our mailing list, and we'll inform you when the next round of application opens. SEARCHING FOR FELLOWSHIPS? There are also fellowships available in Peru. 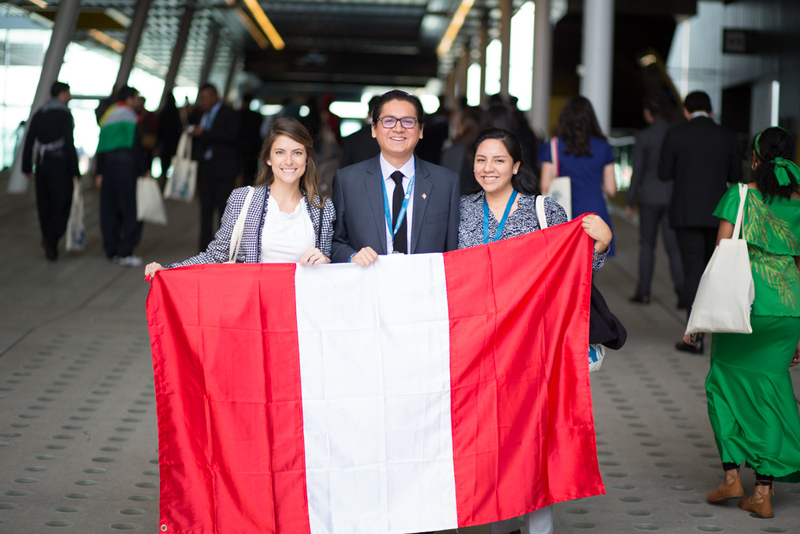 Find out more about Chevening Fellowships in Peru. Once you apply for a 2019/2020 Chevening Scholarship you will receive email updates about your application status at each step of the selection process. You can also check your status in the online application system. Log in using the details you registered with. Take a look at the Chevening application timeline and our FAQs for a better understanding of the upcoming stages of the selection process. Please note that if you are longlisted for an award, you will be required to log into the online application system and request a reference from your referees. The request will generate an email to the referees and they will need to submit the reference by Monday, 4 March 2019. If your referees do not submit by this deadline, you will be unable to proceed with an interview. If you are successful at the interview stage and are conditionally selected for a Chevening Scholarship, it is essential that you provide evidence that you meet the Chevening English language requirements and that you have at least one unconditional offer from an eligible course by 11 July 2019 in order to remain in the process. Due to the large number of applications received, we are unable to provide individual application status updates or feedback to unsuccessful applicants. Please do not contact your British embassy or high commission with application enquiries. You may wish to review the guidance below to help you with the next steps. Notice: We have been made aware of agencies offering assistance on Chevening Scholarship applications for a fee. We can confirm that these agencies are not approved or endorsed by the Foreign and Commonwealth Office, the Association of Commonwealth Universities, or the Chevening Secretariat. We advise potential applicants against the use of these services in the strongest possible terms. Use of a paid for service for Chevening applications is not permitted. Chevening is funded by the Foreign and Commonwealth Office and partner organisations. Our partners contribute to Chevening in various ways, helping us to develop talented individuals from across the globe who will go on to be future leaders and decision makers. The below partner organisations co-sponsor Chevening Awards in your country, enabling us to offer more Chevening Scholars the opportunity to study in the UK. If your application is successful and you have applied to study a subject or degree programme supported by one of our partners, you will be considered for a co-sponsored Chevening Award. Find out more about our partner organisations, the areas of study they support and why they have committed to supporting Chevening in your country by reading their profiles.